As backup windows get smaller and server primary storage gets larger the demand for high performance and capacity increases as well. The new 12/24GB DAT Drive provides higher reliability with an upward migration path to higher capacity performance and greater reliability for current DDS-1 and DDS-2 customer base. 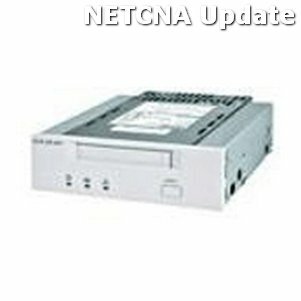 In addition to DDS-3 (125 meter) media the Compaq 12/24GB DAT drive is also completely read and write compatible with DDS format (60 meter and 90 meter) and DDS-2 format (120 meter) media. A new time tracking feature enhances the ability to interchange data with out-of-specification DAT drives which allows Compaq to grow the after market business of tape options in the DAT market place. The most demanding users on an enterprise network now have a solution that matches their growing backup demands.